When I made a wish list of Usborne books to use in our home school, I never dreamed I would end up selling Usborne books. Within three months of starting my Usborne Books at Home business, I'd earned over $500 worth of free books for my family, in addition to receiving generous monthly commission checks. Here is the story of my experience as an Usborne Books at Home Consultant. Why should I become an Usborne books consultant? Usborne provides consultants with an opportunity to purchase books at a discount, earn income for their families, make lasting friendships and give to their communities by sharing high-quality, low-cost, educational books with others. How much time is required? You decide how much time you will invest in your business, depending on your goals. Some consultants turn Usborne into a full-time business for their families. Others want to earn part-time income for curriculum, activities, vacations or other items in their budgets. Some consultants simply want to receive a discount on books they purchase for their families. What is my monthly quota? Usborne book consultants have no monthly, quarterly or annual quotas. Usborne's only, one-time sales requirement is that new consultants reach $85 in net sales (approximately $125 retail) within their first 12 weeks as a consultant. A consultant could reach this goal through a home show, website sales, a series of sales to friends and acquaintances, or a personal purchase. During my first 12 weeks with Usborne, I reached over $2,000 in net sales. Can I purchase books for myself at a discount? Yes! Usborne consultants receive 25% commission on personal purchases. As a consultant, you effectively receive a lifetime 25% discount on Usborne books. 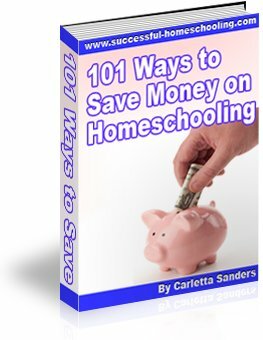 What a great way to save money on homeschool books, birthday gifts and Christmas gifts! What if I don't like selling? I was concerned about selling when I became a consultant, and I found that Usborne books sell themselves. I simply tell people about the books and show them a few from my collection. Many people will then ask me to give them a catalog or host a show in their homes. I am not a salesperson. I just share Usborne books with others. It is easy to tell friends about a product my children enjoy! Do I have to host shows in other people's homes? No. You can promote Usborne books through your website, e-fairs, book fairs, direct sales, booths, fundraisers, craft shows, community events, and school and library sales. When I joined Usborne, I decided I would not host any home shows. However, after hosting a kick off show in my home, I was hooked. Home parties are a fun and easy way to earn income, and hostesses love the free books. I've had several consultants contact me after their parties to ask me pencil them in for the same time next year. How do I accept payment? You can accept cash, check or credit card for purchases. Usborne Books at Home provides services that allow you to accept credit cards without paying any fees. Do I need to buy inventory? Usborne books are shipped directly from the home office, therefore, consultants are not required to purchase inventory. Do I have to recruit others to join the company? No! Usborne does not require you to recruit friends and family members. When I became a consultant, I was determined not to hassle my loved ones to join Usborne. However, hearing about my great experience, several friends were anxious to take advantage of the Usborne home based business opportunity. How are consultants trained? Your starter kit will come with a training manual, CD and DVD. I will coach you via e-mail and telephone through every step of your Usborne business. You will also receive a monthly newsletter and receive access to Usborne's message boards. You do not have to live in my immediate area to join my Usborne team. Some of my most successful consultants have been those outside of my geographical area. catalogs, order forms and other necessary supplies. The Business Kit comes with all of the items listed above, plus 33 of Usborne's most popular books, all for a price of $199. The retail value of this kit is $423. By taking advantage of one of Usborne's monthly specials, you can start your Usborne business for as low as $49!. How much money can I make? The amount of income you earn from your Usborne business depends on your goals and the amount of time you want to invest. This chart shows the income potential for different levels of involvement. In addition to income, Usborne provides consultants with opporunities to earn free books, supplies, gifts and even family vacations. What if there are too many Usborne consultants in my area? Usborne has approximately 10,000 consultants across the country. Many similar companies have anywhere from 75,000 to 800,000 consultants, leaving newcomers to face a saturated market. Usborne books is a growing opportunity, with an expanding market. Children will continue to be born daily. What parent doesn't want to purchase books for his or her children? How do I get started? Sign up here to start your Usborne business. You will receive an e-mail receipt from Usborne and your starter kit will arrive within a few days. I will receive an e-mail that lets me know you've joined my team. Upon receiving this e-mail, I will contact you to help you on your new venture. My experience with Usborne has been great not only for me, but for my family as a whole. My children are learning about business by helping me prepare for and host home shows and events. They are also reaping the benefits of the extra income I earn, not to mention the free books! Here is some additional information about the home based business opportunity with Usborne. If you have additional questions, please contact me. I would love to help start you on the road to a successful Usborne Books at Home Business.